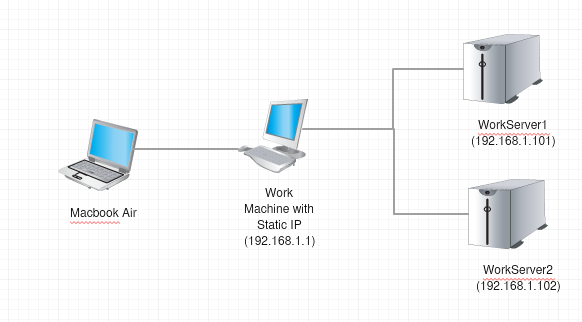 I can only access certain servers at work over SSH if I am using a machine with a certain static IP address. I wanted to be able to mount the servers file space using SFTP on a Macbook Air when I am either at home or at a remote location. I investigated a lot of different ways to accomplish this with little success. After a lot of trial and error I was able to create a Socks proxy to my work machine using ssh and then mount the server file systems by using Cyberduck and enabling the use of the socks proxy. First, I needed to create the socks proxy. In order to do this I had to SSH into my work machine and dynamical forward a port 8080. You may forward any port that is not being used greater than 1024. This will send any traffic on that port through the tunnel and out of the machine that you are connected to. 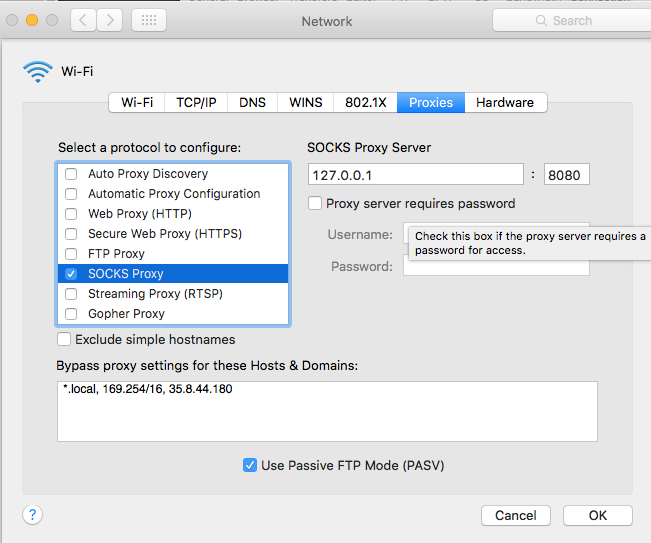 After I have created the SSH connection with the dynamic port forwarding, I enabled the socks proxy in OSX Network Preferences -> Advanced -> Proxies. Check the “SOCKS Proxy” box. Then, set the “SOCKS Proxy Server” to 127.0.0.1:8080. Finally, add the IP or Domain of the machine that has the SSH connection to the “Bypass proxy settings for these Hosts & Domains” box. 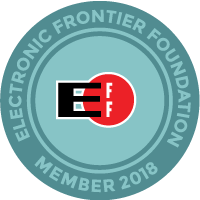 Now enable the proxy in Cyberduck. 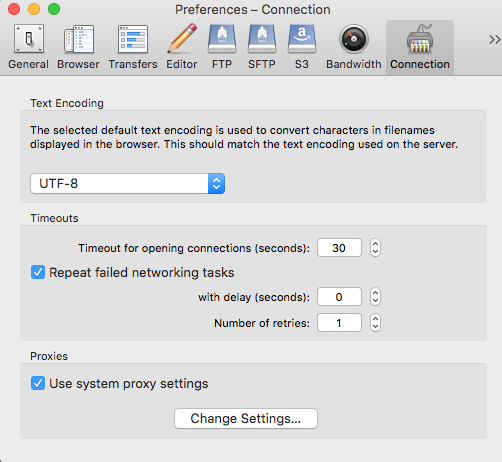 Go to “Cyberduck” -> “System Preferences” -> “Connection” and check the box that says “Use system proxy settings”. Now every connection in Cyberduck will flow through your SOCKS proxy that you set up so you can mount the remote server file system over SFTP.